The Oscars are on this weekend, with Birdman and Boyhood among the favourites to take home Best Picture. Of course, the best film doesn’t always win the Best Picture award, as the films in this post show! It’s the number one film on IMDB’s Top 250. It came 4th in Empire’s Best Movies of All Time. 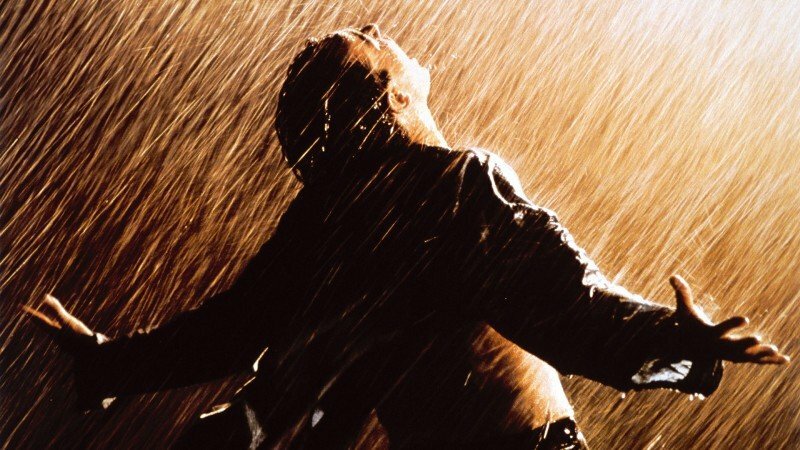 And yet, The Shawshank Redemption didn’t even win a single Oscar, let alone Best Picture. To be fair, it came up against a tough field. Forrest Gump took home the big prize, while Pulp Fiction and Four Weddings and a Funeral were among the other nominees. But still! It’s The flippin’ Shawshank Redemption! It turns out we’re not the only ones a bit upset by this sorry state of affairs; Sky viewers voted it the best movie never to win Best Picture in a 2011 poll. It’s astounding that Martin Scorsese, one of the best directors of all time, has never won a Best Picture Oscar. Goodfellas was whacked by Dances With Wolves. Taxi Driver, beaten on points by Rocky. Raging Bull, knocked out by Ordinary People. Wolf of Wall Street, outfoxed by 12 Years a Slave. The biggest insult of them all, however, is Gangs of New York losing out to Chicago. We know it’s not Marty’s best film but come on! Chicago?! We know the Academy doesn’t really like blockbusters. But The Dark Knight was different: it was an intelligent blockbuster that reflected on morality and surveillance. It had something to say (plus lots of good action sequences). In hindsight, it’s probably the reason 2 million superhero films are coming out over the next couple of years. It didn’t even get a nomination. The backlash from the snub is frequently cited as the reason the Academy expanded the number of Best Picture nominations from 5 to 10 (it’s now back down to 8), although its never been officially confirmed. This daring and highly original take on romance and technology is widely considered to be one of the best films of the past 15 years. Not only was it snubbed for Best Picture, it didn’t even get nominated: it missed out to Million Dollar Baby, Ray, Sideways, The Aviator and Finding Neverland. Citizen Kane is one of the best films of all time (it topped Sight and Sound’s Poll of Critics’ 5 years in a row), which…well, you know the rest. It lost out to How Green Was My Valley, although it’s had such an influence on modern film-making that it doesn’t really matter. The Coen Brothers’ classic crime dramedy did better than most of the films in this post, managing to secure a nomination. Unfortunately, it was beaten by The English Patient. We’re sure the Coens’ don’t lose much sleep over it though, as legendary critic Roger Ebert once called Fargo one of his favourite films ever. Which films do you think should have won Best Picture? Let us know in the comments. If you want to sell DVDs, look no further than musicMagpie! Just click the button below to get started.